Memorial Day Weekend was approaching, and I had nothing planned. My kids were scheduled to be with their dad, my family picnic had been postponed, my boyfriend was out of town, soon to be returning from a two week motorcycle trip across the country (www.traveling250.com), and the weather was going to be beautiful. That’s saying a lot for a Memorial Day Weekend in Wisconsin, which is usually over-scheduled and has a 50-50 chance of being miserably cold and rainy. Memorial Day Weekend this year would also be day five and six of my current round of chemotherapy. Days, which, in the past, have proven to be low points for me. I knew one thing, though, I was not going to sit home and wait for side effects to kick in. I was feeling really healthy, so, at the last minute, I started toying with the idea of meeting my boyfriend somewhere along his route home. By motorcycle. The idea of getting out of town, taking a break from all the medical stuff, getting out there on my bike, and seeing Andy a little sooner was very appealing. We started discussing places to meet. 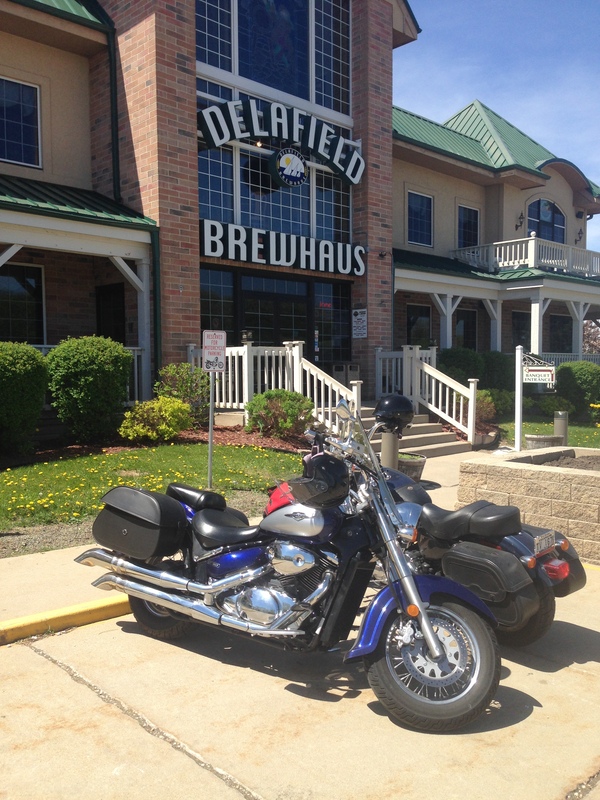 He mentioned New Glarus, a quaint little Swiss village southwest of Madison. 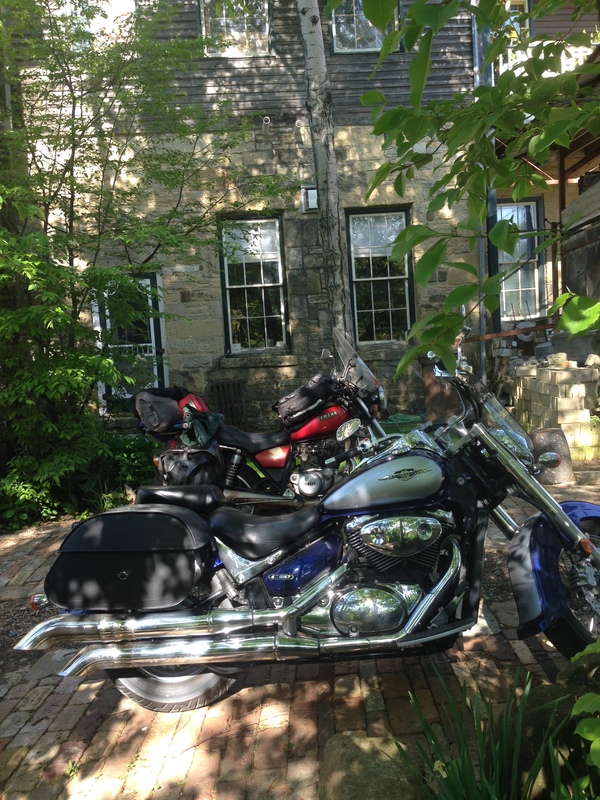 It would be an easy ride for me, and sounded nice, but I soon found that I couldn’t get a room in New Glarus due to a music festival which was taking place. So, looking at my map, I thought Mineral Point looked like another good choice. 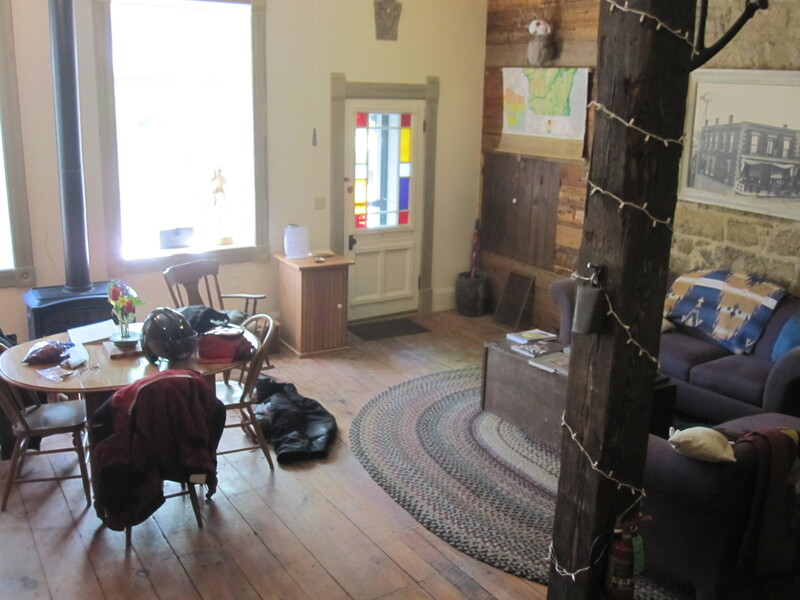 I really knew nothing about Mineral Point, but judging from the research I did online, it looked like a nice place for a quiet getaway. The town was formed in the 1830s and 40s, and being a fan of historic architecture, I thought I would find it interesting. 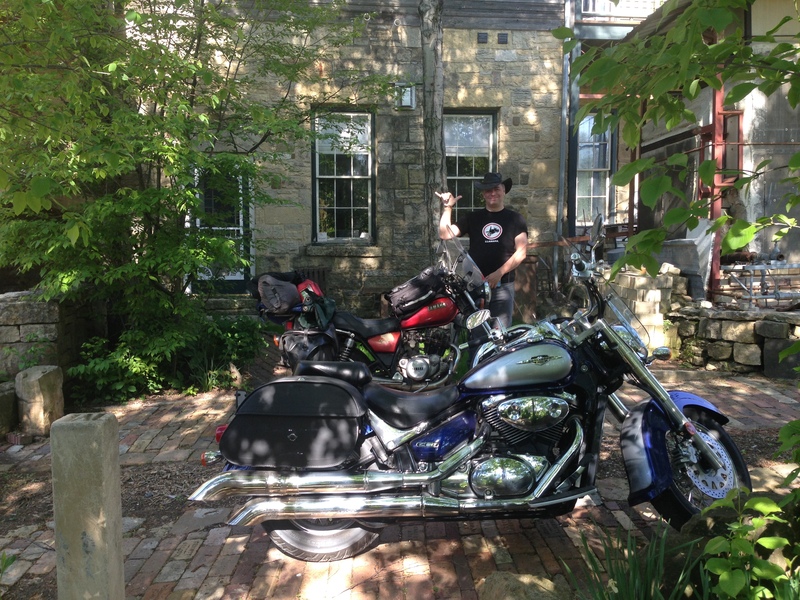 And, it is in the driftless area of Wisconsin, which means beautiful, rolling motorcycle roads. I splurged a little and booked a really amazing looking room for Saturday night. I woke up Saturday morning feeling great and super giddy for my road trip. I had arranged to ride out of town with my good friend, Mary. We would ride together until lunch time, at which point we would go our separate ways. 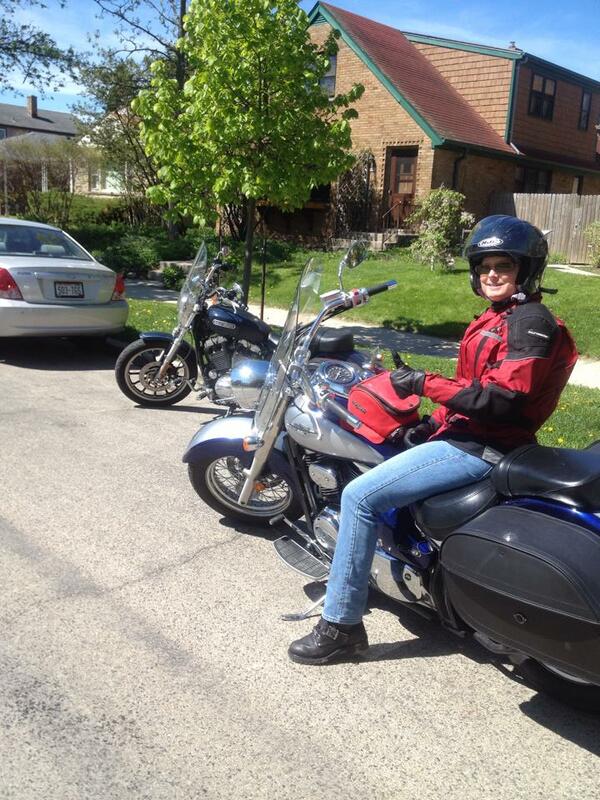 It was perfect motorcycling weather. Sunny and warm. We had an uneventful ride out (except for that one playful dear along the side of the road) and stopped for a leisurely lunch at a favorite place. After lunch, I continued west. As I got close to Madison I decided to get off the highway and onto quieter country roads. The smells, the sights, the serene experience, passing through small towns, was just what I needed. This is what I affectionately call “throttle therapy”. It is the rejuvenating power I feel when I ride my motorcycle. Once I got past Madison, the roads got quieter and stretched out in gentle curves in front of me. I was feeling great! Even though we didn’t set a meeting time, and we had different distances to cover, we arrived at the hotel within minutes of each other. 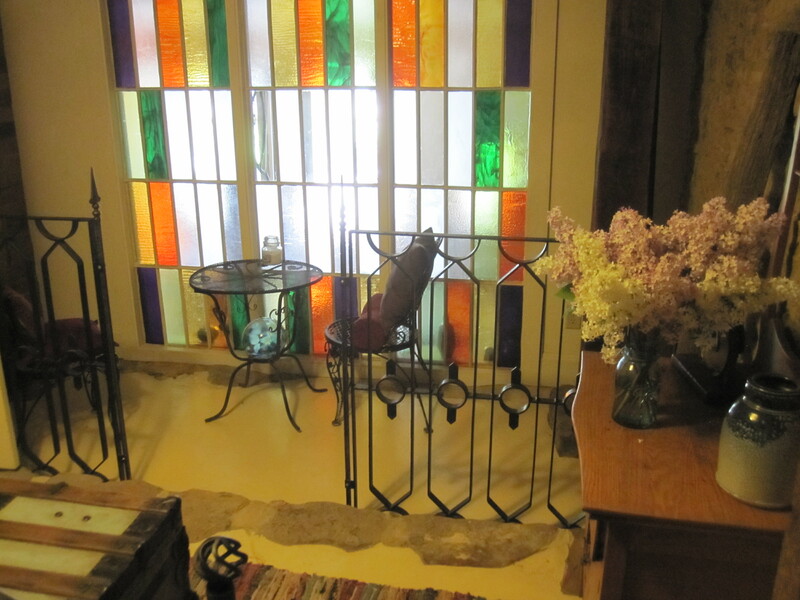 Right on the main street, but tucked away with a hidden garden entrance, our room was remarkable. 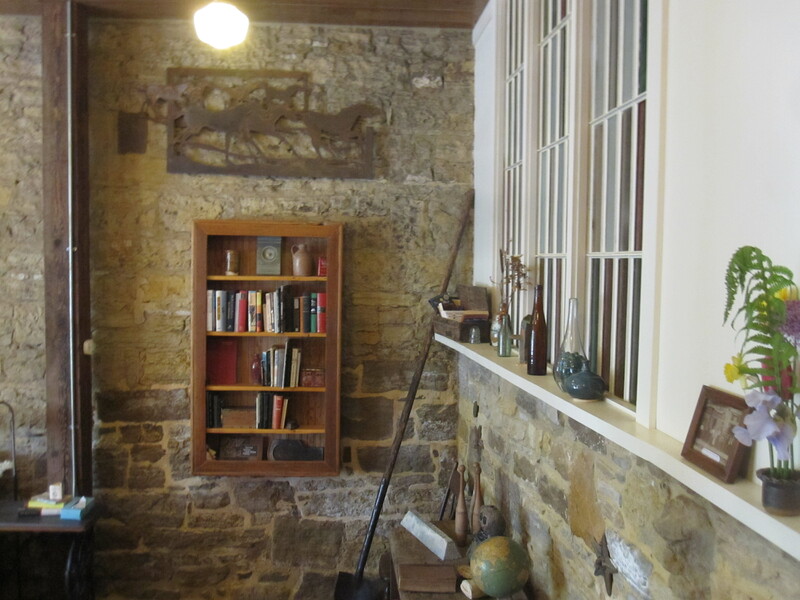 It had masonry walls filled with whimsical art built into the walls, a kitchenette and living room filled with books about the art and architecture of Mineral Point, a claw foot bathtub and bedroom up a set of stairs. I knew instantly that this was just what the doctor ordered. We had a wonderful dinner, wine and even saved room for dessert (because, let’s be honest, I can’t resist chocolate cake with red wine) at the Brewery Creek Brewpub. There was time for a soak in the claw foot tub and a great night’s sleep. 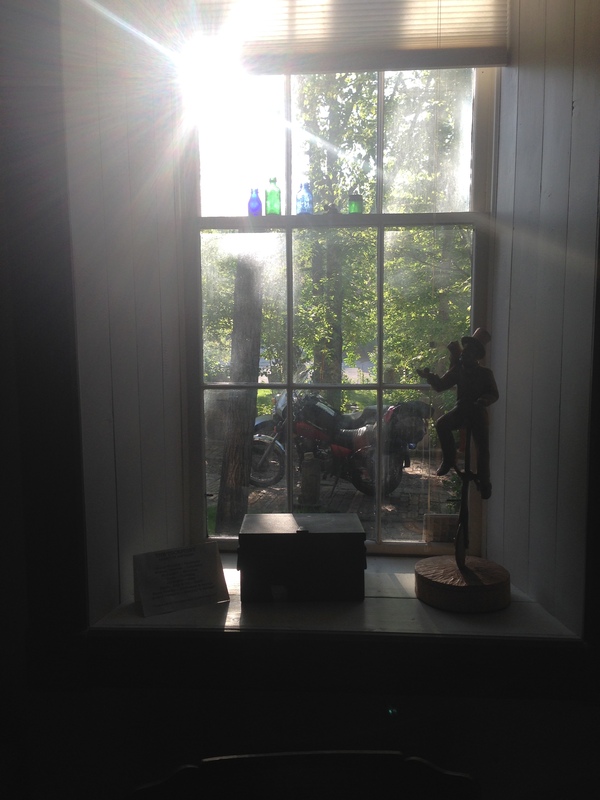 In the morning, the sun was streaming in, past the gardens where the motorcycles were parked and through the stained glass decorations in the window. I made some tea and curled up on the couch, looking through some of the interesting books that filled the place. It was a beautifully peaceful morning. 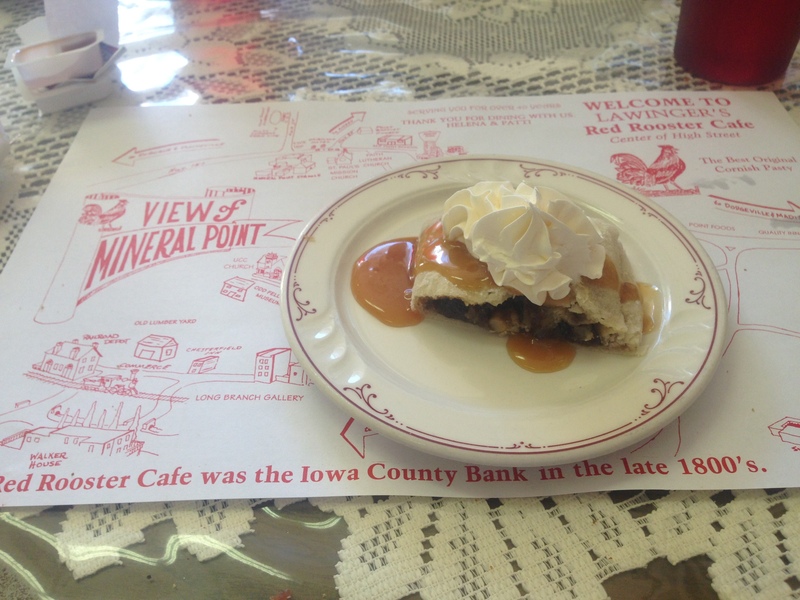 We learned that we simply cannot leave Mineral Point without sampling figgyhobbin, a Cornish pastry filled with a mix of raisins, walnuts, brown sugar, and butter and covered with caramel sauce and whipped cream. Glad we took that advice and tried the figgyhobbin, we found that it was the perfectly sweet end to a perfectly sweet getaway.